We all know dogs can’t talk — but they can communicate a variety of things through their body language. A wagging tail is the sign of a joyful pup, while a lowered tail symbolizes fear; but did you know that even your dog’s sleeping position can relay important information about their temperament and health? 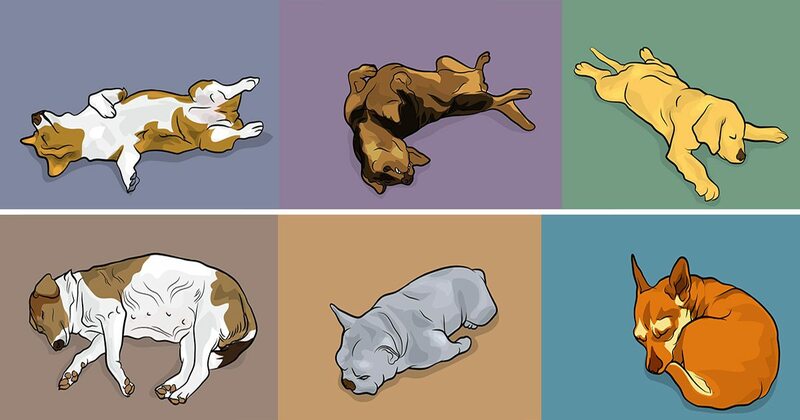 So, take a look at these doggie sleeping positions to gain valuable insight into your beloved pooch! When a dog sleeps on their back with all four legs pointing upwards, we call it the ‘Crazy Legs’ sleep position. According to Wide Open Pets, dogs that sleep like this are showing a combination of submission and vulnerability. With all four legs in the air, a dog’s stomach and organs are completely exposed. If this is one of your dog’s favorite positions, they are probably independent and super laidback. 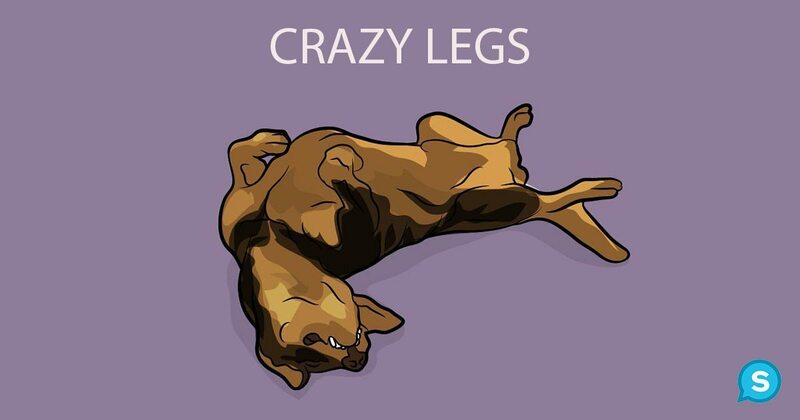 Whatever the case, when a dog is doing the Crazy Legs, they are letting their family know that they feel 100% comfortable and safe. While this is probably debatable, I’m going to say that the Superman position is definitely one of the cutest. When your dog is sleeping on their belly with all four paws stretched out and their head at ground level, they are partaking in the Superman position. According to Dog Time, this position is popular in puppies, making it easy for a dog to wake up and jump right back into playing. 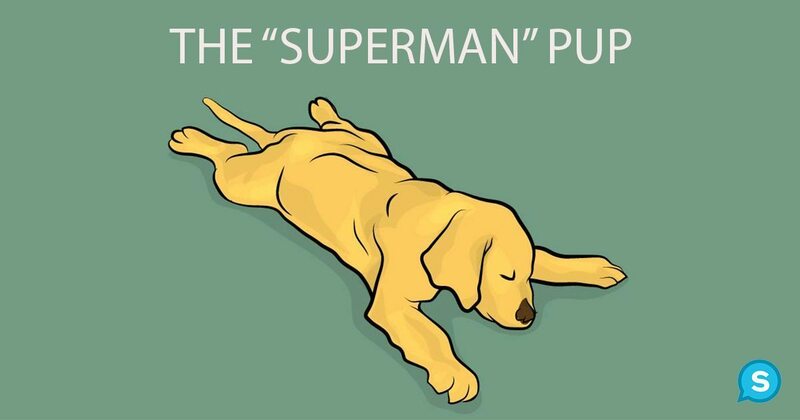 As a result, the Superman position is definitely an indicator of a bouncy, energetic canine! 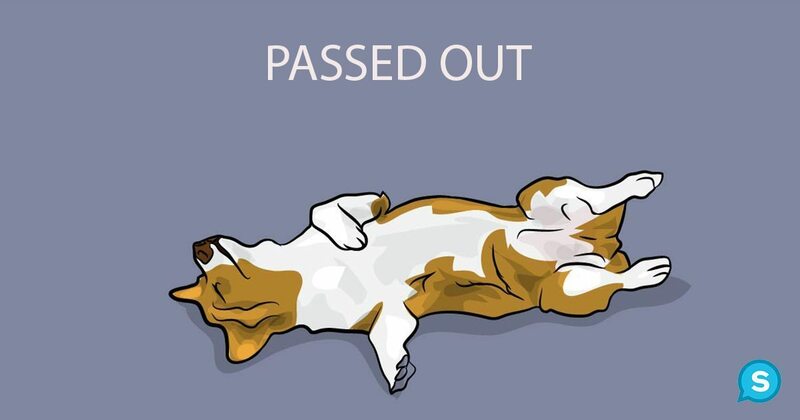 The ‘Passed Out’ sleeping position is similar to Crazy Legs, except in the Passed Out position, a dog’s front paws are laying over their chest while their back legs are extended completely in the air. In this position, a dog can be lying on either their back or their side. Dog Time says the passed out position may be a sign of an overheating. This is because a dog’s paws contain sweat glands, and their belly has the least amount of fur on their body, ultimately making this position super effective for cooling off. Be aware, however; Dog’s Best Life says if your dog has their paws curled over their chest while ‘Passed Out”, they are telling you they don’t want to be bothered. Be cautious if you choose to wake them. 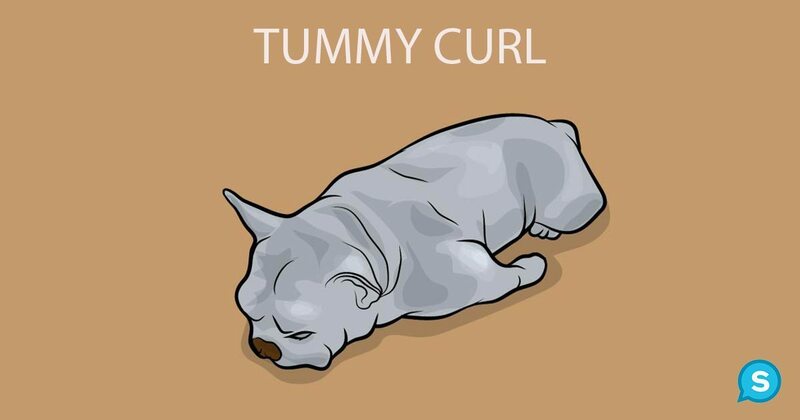 The Belly Curl is similar to the Curly Sue, except the dog’s body isn’t as tightly wound up. When a dog does the belly curl, they may not be getting the best quality of sleep. 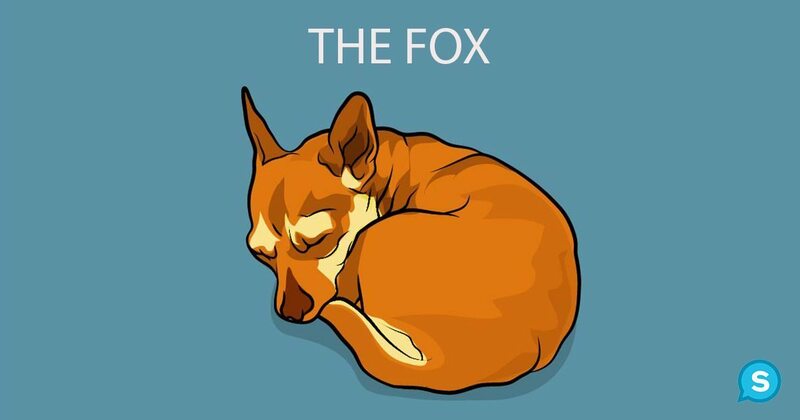 According to Dog’s Best Life, this is because the position does not allow for a dog’s muscles to relax enough to enter the deep, REM stage of sleep. Dogs who belly curl tend to be gentle and shy— but some are the most adventurous of the pack! When a dog is sleeping with their paws tucked beneath their belly and their tail wrapped all the way around to their face, they are partaking in (what we like to call) the ‘Curly Sue’ position. Because the Curly Sue allows a dog to protect their belly and share heat in a pack, it is the most common position amongst wolves and wild dogs, according to Dogs Best Life. If your pup is doing the Curly Sue, it likely means they are either a bit cold or apprehensive about something, like a new environment or people. But don’t worry. Joyful, independent pups often sleep like this too— it’s just so cozy! 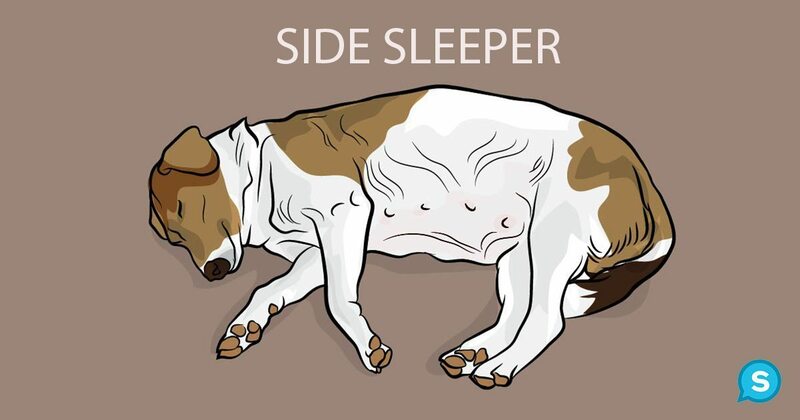 This position is a bit different than the others because it describes how your dog sleeps in relation to either yourself or another pooch. Dogs in wild packs huddle together to sleep, and as a result, NextGen Dog says back-to-back sleeping is an instinctual way for a dog to show you are one of the pack. According to Dog Time, back-to-back sleeping is a way for your pup to bond with you, showing you that they can trust you 100%. So, if your pup crawls into bed with you one night, don’t feel bad about giving them some love by way of a little snooze!